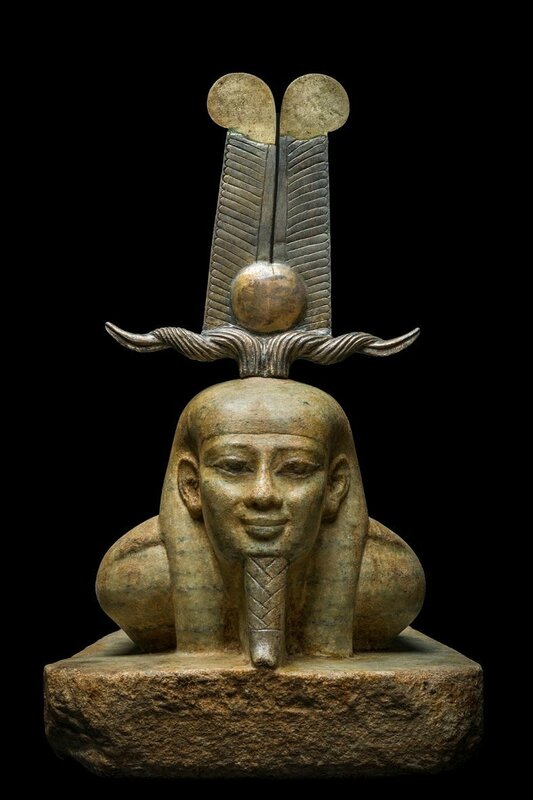 The Awakening of Osiris; 26th dynasty (664-525 BC); gneiss, gold, electrum, bronze; Egyptian Museum, Cairo (CGC 38424). 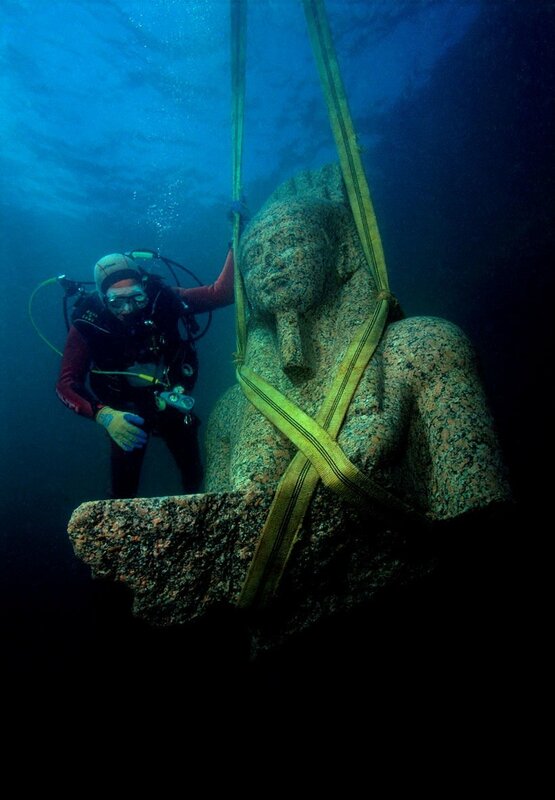 The bust of the colossal statue of Hapy has been strapped with webbings before being cautiously raised out of the water of Aboukir bay, Egypt (SCA 281). This fall, the Minneapolis Institute of Art (Mia) will show an exhibition of antiquities from one of the greatest finds in the history of underwater archaeology. “Egypt’s Sunken Cities,” will feature colossal, 16-foot-tall sculptures and precious artifacts from the long-lost cities of Thonis-Heracleion and Canopus. The exhibition will focus on the discoveries made during more than 20 years of underwater excavation by French archaeologist Franck Goddio and the European Institute for Underwater Archaeology. The exhibition is on view for an extended six-month run through April 14.